1 John – Preserving unity within the church starts with loving the body of the church. Pastor Rod Bunton shows us the reasons why we should love and what it looks like as one of the Twelve Marks of a Healthy Church. 1 Peter 2:9-10 – Understanding how we are saved helps us have the right perspective about Christianity. Pastor Rod Bunton explains the effectual call that draws us to salvation, an important doctrine and one of the Twelve Marks of a Healthy Church. 1 Peter 2:4-10 – In this passage, Peter lays out the identity and message of the church and one thing stands out: you should value it! 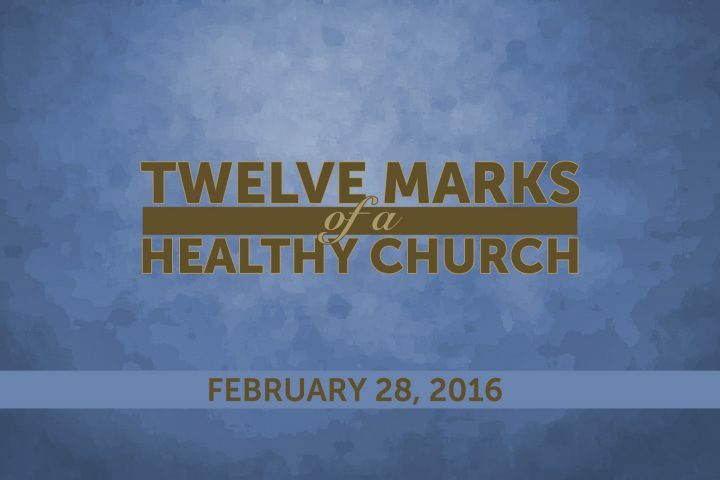 Pastor Rod Bunton exhorts us to love the church as he continues his series, Twelve Marks of a Healthy Church. The characteristics of leaders in a healthy church are not the same as in the business world or military service. Pastor Rod Bunton covers godly Christian leadership and effective evangelism, two of the Twelve Marks of a Healthy Church. 2 Timothy 3:16-4:5 ~ We need to value the Word of God because to know Him you must understand and obey His Word. Pastor Rod Bunton covers the second of Twelve Marks of a Healthy Church.